Kim and Kendall made surprise appearances. The Kardashians made a surprise guest appearance on the hilarious reality television series that is DJ Khaled’s Snapchat account. The music mogul was documenting his day as usual when he delivered one of his iconic major key alerts starring Kim Kardashian. “Eyyo Kim, they don't want you to wear the Saint Laurent fur. They don't want you to break the app store,” he said. “They don't want you to be the biggest boss in the game. 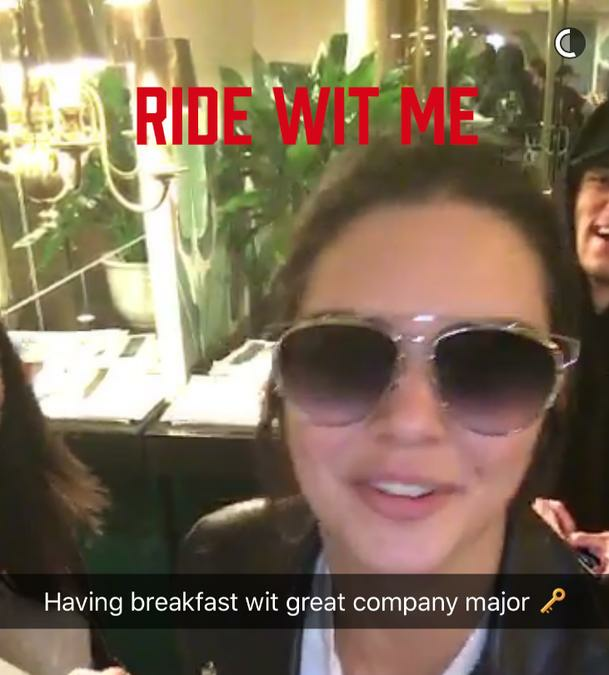 Kendall Jenner also popped up on his Snapchat and expressed her excitement. Meanwhile, DJ Khaled famously got lost at sea while Snapchatting last year. The DJ was attempting to travel back from Rick Ross’ house on a jet ski in the dark.